“Social Media: Don’t use it to impress people, use it to impact people” – is what brands have followed and implemented the most in the year gone by. 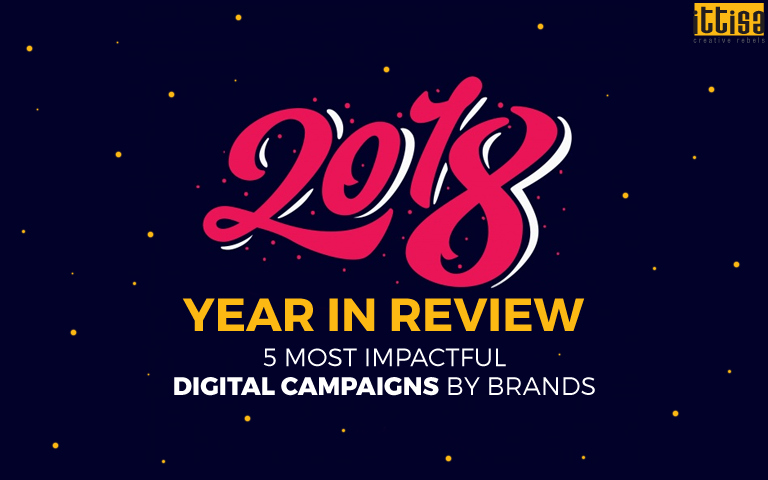 2018 has been a digitally good year, with more and more brands taking the path of innovation and creativity to engage their audience, leave a positive impact and do their part to make a difference. Horlicks launched the Passion Paathshala campaign that provided children with a platform to explore their hidden talents, instead of limiting themselves to just one activity that they know they are good at. The social media campaign showcased real parents and kids enrolling themselves in a mentorship programme. The kids who participated in the programme were seen performing a talent apart from the one that they are brilliant at, which was a pleasant surprise for their parents. The campaign was a huge success, especially on social media. Not just parents, but a lot of mom bloggers also applauded the thought behind it. Celebrities like Riteish Deshmukh and Ayushmann Khurrana also appreciated this initiative. 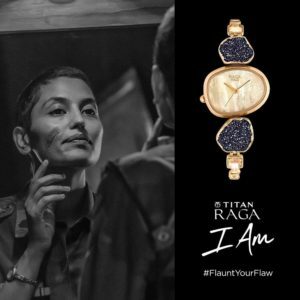 A brand known for celebrating women – Titan Raga’s #FlauntYourFlaw campaign encouraged women to embrace themselves as they are, with all their scars. Questioning stereotypical adjectives that are always associated with women like ‘beautiful’ and ‘flawless’, the digital film showed women from different aspects of life showcasing their imperfections proudly and confidently. 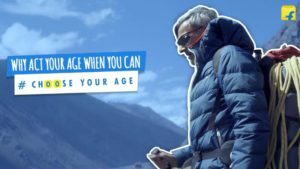 Known for their innovative campaigns, Flipkart – one of India’s biggest online stores – chose to redefine age in their #ChooseYourAge campaign. Challenging the age-old notion that certain things can be done only at a certain age, the digital film celebrated people who ‘do not’ act their age, instead do what brings them joy and define their age with experiences. Beginning with “How old would you be if you didn’t know how old you are?”, the video traces the story of 9 people who dared to break stereotypes associated with age and did what they really wanted to do. Giving the age-old phrase ‘zyada padhao mat, ladki haath se nikal jayegi’ a brand new meaning, Mahindra Rise’s campaign was to spread awareness about a social problem deep rooted in society – of educating a girl child. Through a conversation between a father and his school-going daughter, the film has tried to shatter the conventional mindset and bring out a new perspective of empowering the girl child and allowing her to live life on her own terms. The objective of the campaign was to increase awareness and encourage more people to join the initiative. Vicks, a brand that has been synonymous with care launched the #TouchOfCare campaign to bring out the message that ‘every child deserves a touch of care’. The digital video showcases the story of a young girl with a genetic skin condition who undergoes a great transformation due to the care and immense love showered on her by her adopted parents. The #TouchOfCare campaign is gradually getting popular, even in countries beyond India. It has also become the brand’s philosophy which now has the vision to recognize and support people with extraordinary stories and bring about a positive change in the world. Can you think of any other campaign that made a great impact on you? Tell us in the comment section below.